Josh Gold (Aikido Journal): As a martial artist, you’ve done aikido now for almost 50 years, but you’ve also studied Brazilian Jiu Jitsu for over 20 years. 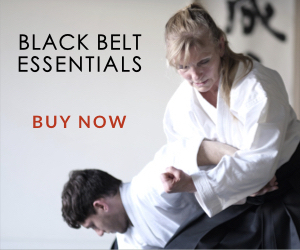 You’ve earned a black belt in that art, which is no easy feat. Bruce: Thank you. I also boxed for a couple of years, took a couple of years of taekwondo, a couple of years of judo, and dabbled a little bit with tai chi. 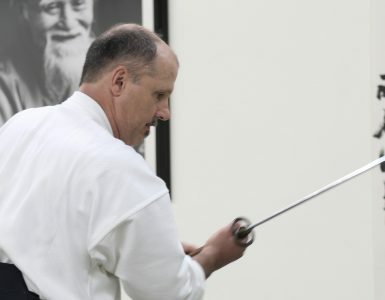 How have these other arts influenced your aikido–your own technical or artistic expression of the art? Ever since I began studying aikido as a child, I’ve loved it. I loved moving this way, and it was just a wordless, unconscious affinity for this incredible art that felt so nurturing. It continues to feel that way to this day. 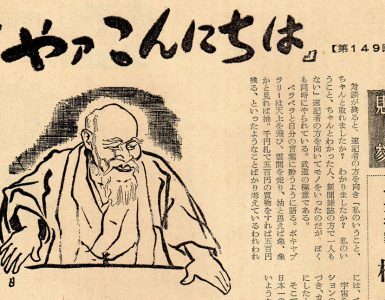 At the same time, there’s always been this question in the aikido community: does it really work? What are we really doing here? 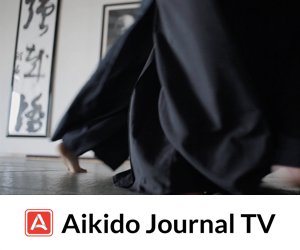 What’s the martial effectiveness of aikido? Does it work against karate or boxing and all these things? So I’ve always tried, even as a child, to give myself exposure to the other martial arts to help answer this question. I’ve seen arts that were very impressive, like kyokushin karate, or muay thai kickboxing, but I couldn’t imagine myself practicing them. It just wasn’t me. In my 30’s, running a dojo in Seattle, I hired a boxing instructor to work with me for a couple of years. I did a fair amount of boxing, western style, and I actually liked it. It was soft, it was simple. There’s only a left jab, a right cross, a hook, and an uppercut. That’s all there is to it, and it’s up to you how you put those pieces together. But what I really learned from boxing, in addition to timing and awareness, was what it’s like to get hit and how to take a punch. I got hit time and time again, and hard, to the point where my t-shirt would be covered in blood. I often wouldn’t even realize it and would spar round after round before seeing the blood. It was a valuable experience. Do I suggest that everybody do that? No. Getting hit in the head is never good for you, and I actually experienced some problems. I was getting floaters in my vision, serious enough that I got it checked out. Luckily, there was no retinal detachment, but at 36 years old, I was cruising for it. And then I found Brazilian Jiu Jitsu. My friend Tom Elliot lent me video tapes created by Rorian and Royce Gracie. They were basic instructional videos on Gracie Jiu Jitsu; the more generic name is Brazilian Jiu Jitsu. I was so impressed that I just had to do it. I went down to Redondo Beach in Southern California to work with the Machado brothers for a week at a time. There wasn’t a lot of Jiu Jitsu in Seattle at the time, and I think I’m actually the first person to ever teach a class in Brazilian Jiu Jitsu in the Seattle area. I kept going down to California and working with my students back in Seattle, and before long there were teachers who came in who I started studying with. I eventually began studying at Gracie Barra, and that’s where I got my black belt. I love the art. There’s something about the tactile nature of Brazilian Jiu Jitsu that fascinates me. You can interchange your hands and your feet. You can work on the ground or from standing up. The art actually incorporates the concept of loving protection that we have in aikido, because you can close the distance on an attacker, hug them so close that you’re both safe, and take them down to the ground. There are quite a few techniques and options in Brazilian Jiu Jitsu that don’t involve seriously hurting a person, where you can gradually increase the pressure until you can have a discussion with the person, as you’re holding them. Based on that, I believe there are numerous ways that could fit into a curriculum for aikido, and this is what I’ve been doing over the years. However, it hasn’t really been until recently that I’ve made the connection of how aikido and Jiu Jitsu work together. I don’t believe there’s any real conscious connection between the two, or that there’s some way to view the technical systems where all of a sudden you can see where aikido and Brazilian Jiu Jitsu just line up. However, I’m starting to believe that there is a place it’s evolving to, where it can become something that dovetails beautifully. That’s really my charge in doing this. I love classical aikido, and I love sport Jiu Jitsu, but I also love this interaction between the two, and and I love how it all relates to self-defense. I don’t believe that I or most aikido people are in a position to train mixed martial artists, but we are in a position to train aikido people who have very strong self-defense skills, and that’s something that is sorely lacking in the aikido community. I’ve been selectively adopting things from Jiu Jitsu into aikido. I’m doing it very slowly, because I believe there are pitfalls in shifting things too quickly. I find that it’s really easy to cross-train, and all of a sudden, the whole feeling of the aikido goes out the window, and you look like a karate guy or a Jiu Jitsu guy doing aikido movements, and in a way you’re not really doing aikido anymore. So it’s not enough just to find an effective way to fight, or to defend yourself. We have a special job as aikido instructors. We’re taking on more responsibility. We’re trying to do something very difficult in aikido, and we are intensely criticized for it, but it’s a noble pursuit. It’s really hard to be non-violent, truly non-violent, and cause no harm. We’ve had mixed results over the years. Taking out competition from the art has brought both upsides and downsides. Competition is a beautiful thing, because it cuts out all the crap, to a degree. There are winners and losers. It’s very easy to see. There’s a lot to be said for that approach. In aikido, by removing the element of competition, we’re trying to do something that’s very difficult, and the integrity of our practice is a personal thing. We have to hold ourselves to a high degree of integrity, to use such a venue where we’re cooperating with each other, and still keep some sort of a martial temperament. This has been, on the deepest level, what I have been working on over the years. 90% of the time, I’m doing classical aikido training. I love that, I really do. Most of my students train that way too. They may get the self-defense aspect out their training or they may not. I have actually included more self-defense work in my aikido curriculum because of my background in the striking arts and in Jiu Jitsu. It’s a very sensitive process, though, because I’ve found that most aikido people don’t like to do Jiu Jitsu. Most Jiu Jitsu people also don’t like to do aikido. There’s just a few crazies like myself who like to do both. Nevertheless, I try to put in as much Jiu Jitsu as I can into the curriculum without discouraging the people who just really want to do aikido. That’s very interesting. You did a kaitenage on me the other day, and when you moved in position to throw, I felt that I had no space to move or adjust or counter, until I was sling-shotted out. And even though we were doing a very classical aikido technique in a traditional practice format, I could feel, somehow, the essence or the influence of that Jiu Jitsu principle in there, which is cool. Thank you. It’s funny you should mention kaitenage, because the biggest influence of my kaitenage, believe it or not, was from Yamaguchi Sensei, and then later, Chiba Sensei. I never cared for Yamaguchi Sensei very much as a young practitioner, I’m embarrassed to say. I was a young guy, full of piss and vinegar, and Yamaguchi’s flowing style felt pretty far-fetched. I believed I could really deepen my breathing and get to a place of relaxation, but I didn’t think Yamaguchi was going to get me there, so I primarily focused on learning from Chiba Sensei. But what I found over time was that Chiba Sensei followed many of the same principles as Yamaguchi. He always told me to take Yamaguchi Sensei’s class. I viewed Chiba Sensei as sort of a Yamaguchi on steroids. He put a very different kind of energy through this technique, but it was actually very similar in form. I have always wanted my Jiu Jitsu to be like Yamaguchi’s aikido, and those are the two polar opposites that I’m trying to reconcile. The very best Jiu Jitsu guys look like Yamaguchi in some ways. And the thing that’s so impressive about Jiu Jitsu: their opponent’s not cooperating at all. They can make it look like aikido and something that I could relate to. That is what influenced the kaitenage, and a number of other things too. It’s slowly seeping into the aikido, and the aikido into the Jiu Jitsu as well. However, it’s not as fast of a process as I would like. I’m wondering, when is this process going to be complete? I’ve been doing Brazilian Jiu Jitsu for 22 years. I’ve been doing aikido for 48 years. I’m a 60-year-old man, and I’m still out there rolling around on the mat. Colette, my wife, says to me, didn’t you wrestle enough as a child? Must you keep this up? And I do find that I must. There’s a beauty and a poetry to it all and that’s what’s really keeps me hooked. This was the third part of a four-part interview with Bruce Bookman Sensei. Read the fourth interview segment here. The first part is here and the second part is here. Hi I also have a background in more than one Style of martial arts. Back in the 70s in the St. Louis area I was the representative of one style from Osaka Japan and a another style with had it Beginning in Hawaii. In 1995 the place where we were teaching and learning Okinawan Kenpo Close down and I joined a Seidokan Aikido School In St.Louis,MO and I am still at that’s school teaching three days a week. 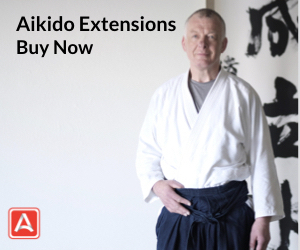 Years ago I purchased two VSH tapes from Bruce Bookman, one on instructing Kids Aikido. Maybe, it was 15 years ago I am not sure, but it is very rewarding to see that he still teaching. THE Art have been very good too and for me. In July I will be 80 years old . Who the **** am I to say anything here? Well, I started aikido in 1974 and Bill Witt gave me sandan when he closed the Ritch Street dojo in about 1990. Since then I’ve been a sort of ronin. Occasionally I have students. At the moment I have one. Now the critique I’ve had over the years is practicality. A difficulty with cross training is that almost every martial art I’ve sampled beside Aikido starts an engagement in a “square”, confrontational, posture and tends to defend territory. Another difficulty is many become a contest of strength. I’m fairly strong, but there’s always somebody stronger, nor am I very big. The final difficulty is that many techniques of other arts are deliberately injurious. Can Aikido techniques injure? Yes, but injury is the exception. The “mysterious ki” tends to follow sophisticated paths of skeleto-muscular weakness. A practitioner of a Chinese style introduced me to “Anatomy Trains”, a moderately expensive book which has good illustrations of the structure of weakness. There are all sorts of reasons beside conscience for avoiding injury, starting with its inefficacy against users of angel dust. I am grateful to Pranin Sensei for bringing Daito-ryu to the attention of the community and recommend that material to everybody. 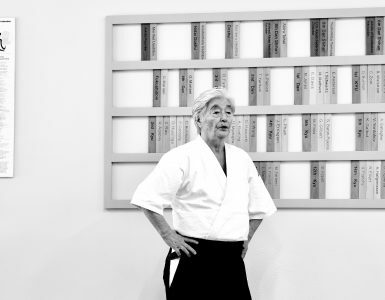 O Sensei developed what we do from that and, imo, any of us can use that inspiration. I think O Sensei’s interpretation leaves out most of the deliberately injurious stuff so take care. What other inspirations have come to me from outside our world? Teaching Aikido at a Chinese Kempo school I learned its two central tenets, center line and distance. I also was introduced to weight distribution and foot pivoting from Tai Chi, universally useful, again, imo. Another concept mostly from European fencing, but also karate, is parrying. In most arts parrying is to defend territory. 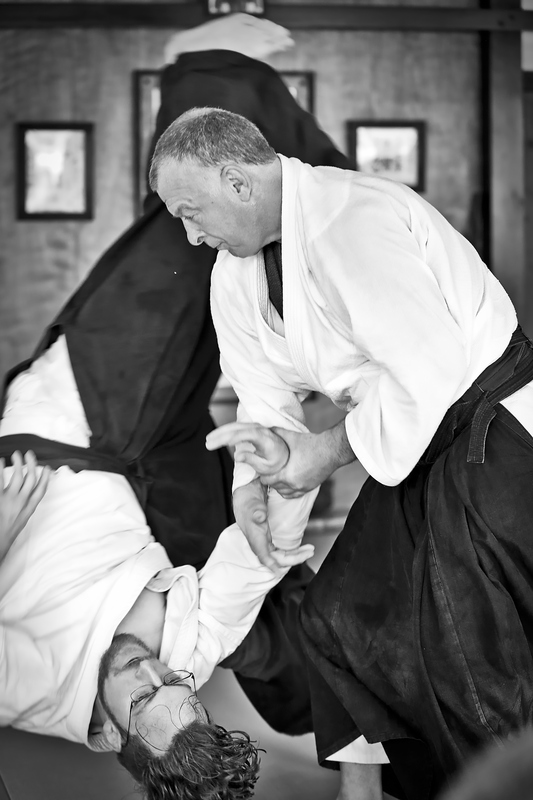 It’s used in Aikido… to localize an attack while moving out of its target zone. Bottom line on practical applied aikido is the year or three I spent on the mantrum “striking is basic”. As a general thing Aikido people strike badly. The makiwara is good for developing power, but the single most valuable strike I know is the back-knuckle punch. If you have to gain or regain the initiative for a technique it is very versatile. Consider initiating any of the katate dori pinning techniques. We generally mistrust kicks. That doesn’t mean we shouldn’t know and practice them, in fact, the opposite. Now falls are challenging, so, again, take care. And don’t feel obliged to engage the kick itself. If you choose to, check out the Daito ryu leg pins. Back to practicality – we practice forms. Forms “don’t work”. My interpretation of takemusu is that the forms become so much a part of your body that you unconsciously discover the forms from the situation. Unconscious is the key. If you think “ikkyo” you are likely to find resistance. Now, I spent about a year disoriented by Inoue’s “style”. I’ve since incorporated it. Musashi talks about walking a path, easy with the do/michi dichotomy. Check it out. There are many paths in Aikido forms. 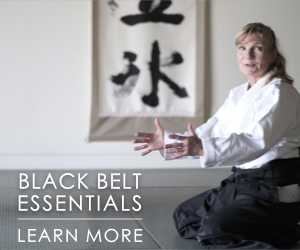 Fragier Sensei once said Aikido follows the line between yin and yang. Finally, I said that O Sensei avoided the deliberately injurious Daito ryu techniques… but excellent Aikido execution can be lethal. I was once dropped straight down on my head. Messed up my neck for years. If it hadn’t been on a mat… Any number of times I’ve been dumped on the back of my head. Bad falling? Yes, but we’re talking about situations outside the dojo. Oh. Practicality. Don’t expect any ukemi outside the dojo. Projection throws are most likely to result in somebody stumbling away. Take it and run. Or use the time to engage your next customer in a multiple attack. Our ukemi represent the most efficient way to get back into the fight, preserving as much of your original energy as possible. As such don’t hesitate to literally roll with the punch if your timing is late. Haven’t practiced rolling on concrete? I recommend the really smooth stuff found on garage floors. I always seem to come up with a little patch of road rash on sidewalks. To me, martial arts is martial arts, it only varies by the name or title or kind of martial arts., of course, there are age limitations, i love and respect all kinds of martial arts, but to me, the fma ( filipino martial arts), can be practiced by age 5 years old and up to or even above 75 years old senior citizen! this is my number one (1) recommendation, discover it now!